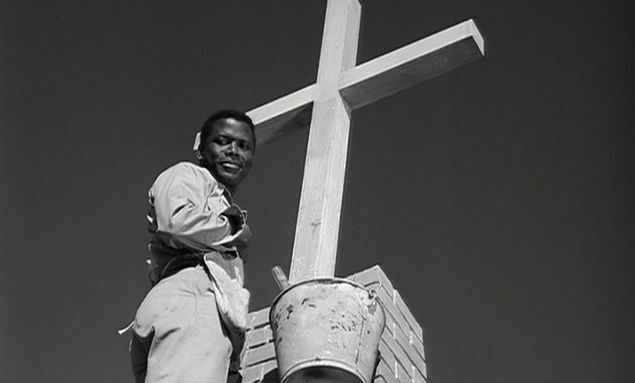 In 1959, Sidney Poitier was nominated for a Best Actor Oscar for his role in The Defiant Ones, a film about escaping convicts, a black & a white man chained together and forced into an unlikely partnership. 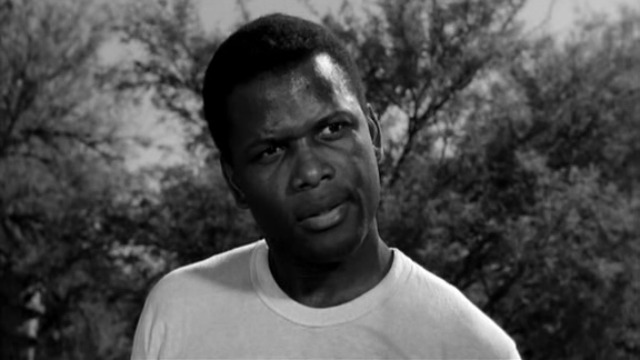 In 1964, Poitier was nominated in the same category for his role in Lilies of the Field, this time winning the award. He became the first African American man to win a Best Actor Oscar, highlighting a career that would span five decades and culminate in an honorary Academy Award for overall excellence in 2002. Not too shabby for a kid from the Bahamas, and perhaps no actor in history has had a more impressive year, with three major & memorable films in 1967: To Sir With Love, In the Heat of the Night, Guess Who’s Coming to Dinner. Poitier’s legacy is undeniable, and here we get to see one of movies that began it all, a real cinematic treat. Homer Smith is a drifter who’s got it all figured out. He sleeps in his car, he’s got his box of tools, can get a handyman job anywhere he likes, eats at roadside stands, and heads West just because the mood strikes him. But when his car begins to overheat, forcing him to pull over for some water, Homer’s life takes a turn that he never saw coming. The spot in the desert at which he stops is a rundown nunnery, home to four Sisters and one Mother, all of whom speak German and have come a long way to be where they are today. Homer Schmidt, as the nuns now refer to him, agrees to take on a few odd jobs around the house in return for a small fee, planning to hit the road again as soon as the cash is in his pocket. But you know what they say about best laid plans, and the nuns are convinced that God himself led Homer to their home, that the man was sent to help them in their time of need. And what do they need? A chapel, or “shapel”, as Mother Maria calls it. No money, no bricks, no wood, no hope, but this group of women is determined that the people of the area will no longer meet near the local diner on Sundays to hear Mass, that they will soon have an actual building in which to proudly worship. For Homer, who isn’t a Catholic and has already grown tired of the poor fare he receives at the table of the nuns, staying on to build a chapel will take more courage & determination than he is used to exhibiting, especially for free. Sometimes we get stuck in modern times, both audiences & critics, imagining that the greatness we can see currently must outshine the greatness of the past, that the glow of actors who have come before has dimmed, that they should be thanked for laying the groundwork but we’ve got it from here. It takes a performance from an award-winning & naturally gifted actor like Sidney Poitier to remind us that talent wasn’t handed out a week ago, that incredible individual performances have been caught on film many times, if we’d only look back & remember them. Consider Poitier’s role in Lilies of the Field to be one of those iconic performances that should be remembered not only for their foundation but for their stand-alone superiority. He is flawless in a complicated role, completely setting aside that this was also a complicated time for African Americans in the U.S., that the film’s reference to Hitler, to slaves, to derogatory terms, could only have been handled as well by the most delicate gloves or, apparently, the most gifted actors. Apart from Poitier, the film suffers a bit by the 50 years between its release and now, coming across as the definition of dated. 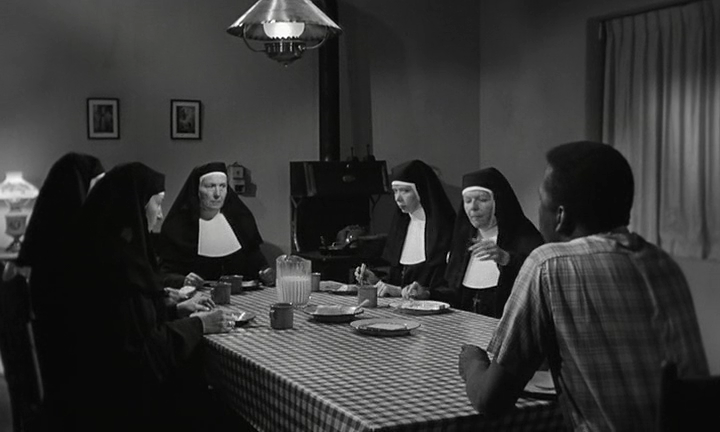 The funny nuns learning English, the Mexican immigrants drinking tequila, the construction company owner calling Homer ‘boy’; it all screamed 60s so loudly that it became a bit distracting whenever Poitier wasn’t dominating the scene. Thankfully, he dominated most of them, and his talent alone was enough to make Lilies of the Field a solid movie. Its themes were simple, though there were a few too many of them, making the real point a little obscured behind side stories, failing to focus in as perfectly as one would wish. But underneath it all was Sidney Poitier as a man who represented so much, a character delivered to us with a kind of grace that we didn’t & don’t often see. Video – With an aspect ratio of 1.66:1 (Anamorphic), the video quality is as good as you’re going to get from a DVD created from a film from 1963. The picture is in black & white, which actually only aids in the concept of the separation of the races inherent to this time. The picture quality is fine, as long as your expectations are low, succeeding in avoiding any major problems and bringing the movie to a new medium as best as could be achieved. 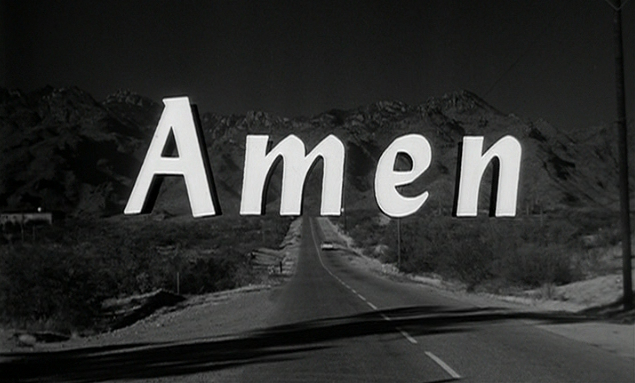 Audio – The disc was done in Mono, with a option of English Subtitles if needed. The audio quality is the same as the video; good enough for a 50-year-old movie transferred to a modern DVD but not, of course, something that’s going to blow you away. The sound was fine, with little warbling and a nice theme song, though the dubbing when Poitier sang was a little ridiculous. Extras – There are four trailers in the Bonus menu: Lilies of the Field, They Call Me Mister Tibbs, The Organization, Duel at Diablo. Highly Recommended. 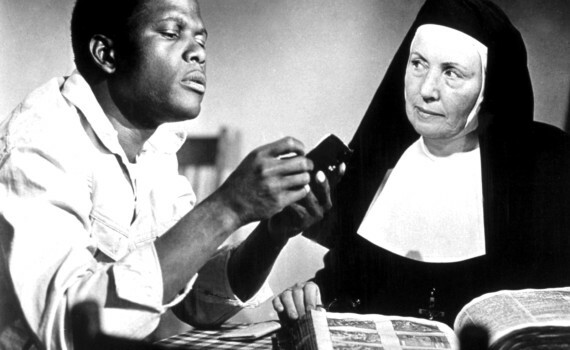 Watch Lilies of the Field to see a great performance from Sidney Poitier and to watch a time capsule of the times. Watch for a few lessons in morality, some ethical fables, and a story designed to create hope in the power of both prayer & personal sacrifice. Don’t watch expecting Dr. Strangelove, as this isn’t a groundbreaking film exactly, but rather a strong one in which a great actor shows his true talent. The video and audio qualities are passable, as good as you should expect, and there are a few trailers on the DVD for those who are interested. I can see why Poitier won an Oscar for this role, and for that reason alone, this movie becomes a must-see, if not exactly a must-own.